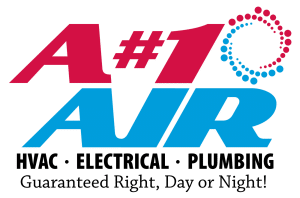 A#1 Air provides a fixed right or free guarantee to residential customers who have authorized and paid in full for all necessary repairs or replacement parts that have been recommended by the A#1 Air service technician at the initial time of diagnosis. The guarantee remains valid after recommended work for a period not more than 6 months or the end of the concurrent heating or cooling season. The guarantee does not cover any consumable items such as filters, uv lights, humidifier pads.. etc. The guarantee also excludes any condensate drain line blockages. 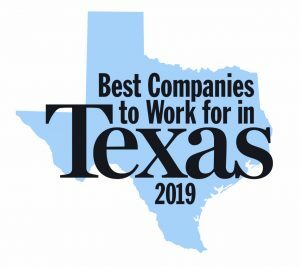 If at anytime additional work or enhancements are performed to any part of the air conditioning and heating system including any air ducting by someone other than an authorized A#1 Air technician, the guarantee will become void. Consumers may request a refund at any point however, A#1 Air must be given an opportunity to rectify the problem within a timely manner before refunds are distributed. This page states the Terms and Conditions under which you (Visitor) may visit this Web site. Please read this page carefully. If you do not accept the Terms and Conditions stated here, we would request you to exit this site. A#1 Air Inc., any of its business divisions and or its subsidiaries, associate companies or subsidiaries to subsidiaries or such other investment companies (in India or abroad) reserve their respective rights to revise these Terms and Conditions at any time by updating this posting. You should visit this page periodically to re-appraise yourself of the Terms and Conditions, because they are binding on all users of this Web Site. All logos, brands, marks headings, labels, names, signatures, numerals, shapes or any combinations thereof, appearing in this site, except as otherwise noted, are properties either owned, or used under licence, by A#1 Air Inc and or its associate entities who feature on this website. The use of these properties or any other content on this site, except as provided in these terms and conditions or in the site content, is strictly prohibited. Visitors are prohibited from violating or attempting to violate the security of the Web site, including, without limitation, (1) accessing data not intended for such user or logging into a server or account which the user is not authorised to access, (2) attempting to probe, scan or test the vulnerability of a system or network or to breach security or authentication measures without proper authorisation, (3) attempting to interfere with service to any user, host or network, including, without limitation, via means of submitting a virus or “Trojan horse” to the Web site, overloading, “flooding”, “mail bombing” or “crashing”, or (4) sending unsolicited electronic mail, including promotions andor advertising of products or services. Violations of system or network security may result in civil or criminal liability. A#1 Air Inc. and or its associate entities will have the right to investigate occurrences that they suspect as involving such violations and will have the right to involve, and cooperate with, law enforcement authorities in prosecuting users who are involved in such violations. This Web site contains links to other Web Sites. These links are provided solely as a convenience to you. Wherever such links lead to sites which do not belong to A#1 Air Inc and or its associate entities, A#1 Air Inc is not responsible for the content of linked sites and does not make any representations regarding the correctness or accuracy of the content on such Web Sites. If you decide to access such linked Web Sites, you do so at your own risk. Similarly, this Web site can be made accessible through a link created by other Web sites. Access to this Web site through such links shall not mean or be deemed to mean that the objectives, aims, purposes, ideas, concepts of such other Web sites or their aim or purpose in establishing such links to this Web site are necessarily the same or similar to the idea, concept, aim or purpose of our web site or that such links have been authorised by A#1 Air Inc and or its associate entities. We are not responsible for any representations of such other Web sites while affording such link and no liability can arise upon A#1 Air Inc and or its associate entities consequent to such representation, its correctness or accuracy. In the event that any links afforded by any other Web sites derogatory in nature to the objectives, aims, purposes, ideas and concepts of this Web site is utilised to visit this Web site and such event is brought to the notice or is within the knowledge of A#1 Air Inc and or its associate entities, civil or criminal remedies as may be appropriate shall be invoked. You agree to defend, indemnify, and hold harmless A#1 Air Inc and or its associate entities, their officers, directors, employees and agents, from and against any claims, actions or demands, including without limitation reasonable legal and accounting fees, alleging or resulting from your use of the Web site material or your breach of these terms and conditions of Web Site use. While all reasonable care has been taken in providing the content on this Web Site, A#1 Air Inc. and or its associate entities shall not be responsible or liable as to the completeness or correctness of such information and any or all consequential liabilities arising out of use of any information or contents on this Web Site. No warranty is given that the Web Site will operate error-free or that this Web Site and its server are free of computer viruses or other harmful mechanisms.  If your use of the Web site results in the need for servicing or replacing equipment or data, A#1 Air Inc and or its associate entities are not responsible for those costs. The web site is provided on an ‘as is’ basis without any warranties either express or implied whatsoever. A#1 Air Inc. and or its associate entities, to the fullest extent permitted by law, disclaims all warranties, including non-infringement of third parties rights, and the warranty of fitness for a particular purpose and makes no warranties about the accuracy, reliability, completeness, or timeliness of the content, services, software, text, graphics, and links. In no event shall A#1 Air Inc, or any parties, organisations or entities associated with the corporate brand name A#1 Air or otherwise, mentioned at this Web Site be liable for any damages whatsoever (including, without limitations, incidental and consequential damages, lost profits, or damage to computer hardware or loss of data information or business interruption) resulting from the use or inability to use the Web Site and the Web site material, whether based on warranty, contract, tort, or any other legal theory, and whether or not, such organisations or entities were advised of the possibility of such damages.